The byological cycle of the Venetian Lagoon is affected by several human affections such as fishing, pollution, traffic and global warming. 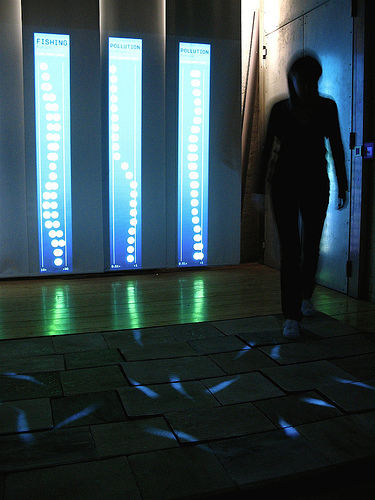 Aequilibrium is an immersive environment that simulates the aquatic life and shows its reactions to your actions. Aequilibrium is not only an information display system neither only a didactic installation. Aequilibrium is a mesmerizing experience in the Rialto fish market that makes you learn the effects of your behaviour on the complex balance of nature.